This casa has 2 new rooms in an independent bungalo for visitors. It has a terrace with a spectacular view of the natural beauty of Soroa. The owners enjoy cooking typical Cuban criolla food made with fresh ingredients harvested from their big vegetable garden. 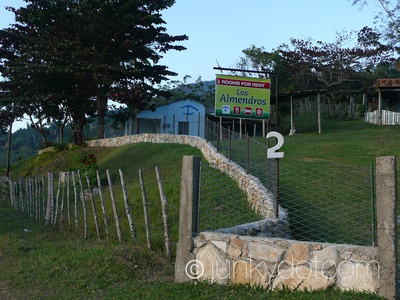 The owner Rey will guide his visitors on the trails in the area or take them bird watching. There are bicycles to rent for those visitors who want to take in the nature around Soroa or ride to Las Terrazas. 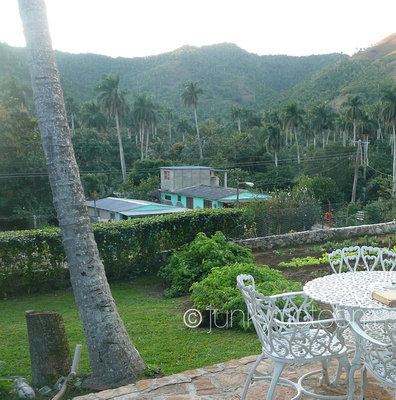 My review: This was my favourite casa of all that we stayed in during our trip to Cuba. It was wonderful to stay at such a beautiful peaceful place with such a kind and friendly family. The location was amazing. Outside our rooms were two tables where we could sit looking over the garden onto a fantastic mountain view. It was misty while we were there, but still very very beautiful. The owner and his son took us on a hike, pointing out plants and birds, then didn't charge us for this. We had a delicious evening meal with a lovely variety of ingredients, all freshly picked from the garden, everything carefully prepared and arranged. Breakfast was very good too. I was really sorry we were only staying one night! After such a lovely experience, we were also very surprised to find that the charges for food and drink were extremely reasonable. How was your room? : Very clean, lovely outlook. How was the food they offer? : I think overall the best we had anywhere. Other services they offer: The owner offers guided hikes and birdwatching. Other comments: If I go back to Cuba, I will want to go back here. 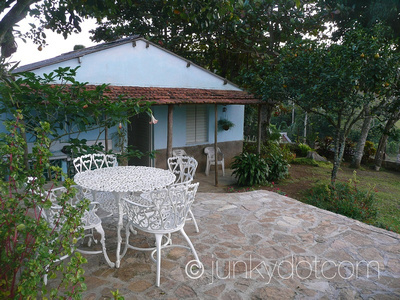 My review: This casa has 2 new rooms in an independent bungalo for visitors. It has a terrace with a spectacular view of the natural beauty of Soroa. The owners enjoy cooking typical Cuban criolla food made with fresh ingredients harvested from their big vegetable garden. The owner Rey will guide his visitors on the trails in the area or take them bird watching. There are bicycles to rent for those visitors who want to take in the nature around Soroa or ride to Las Terrazas. I have spent several months in Cuba over the last couple of years and this is one of my all time favorite casas. Highly recommended! How was your room? : Clean, quiet and comfortable. How was the food they offer? : SPECTACULAR!! Rey takes real pride in his cooking and many of the ingredients are collected directly from their garden. Other comments: I have spent several months in Cuba over the last couple of years and this is one of my all time favorite casas. Highly recommended!